For the past 30 years, Conor Kenny has learnt to sell largely by making lots of mistakes and working hard to understand what inspires a reaction and what it is that makes people buy or not. 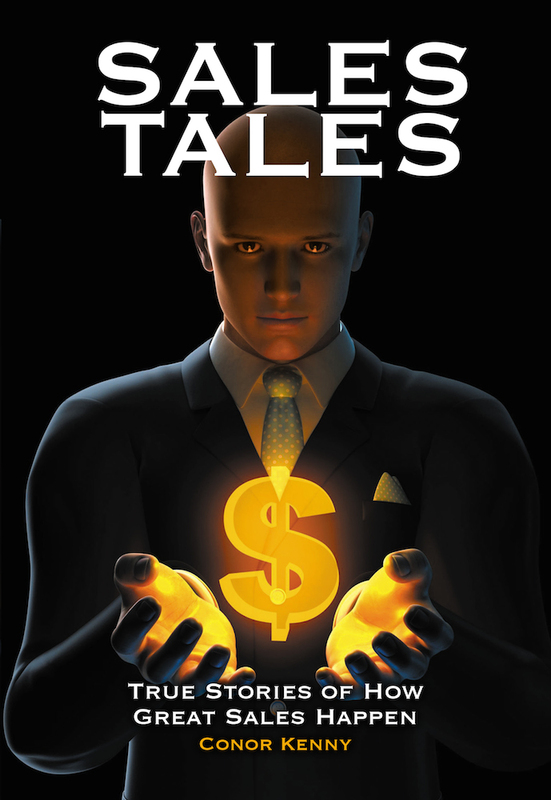 SALES TALES is based on his personal experience and real encounters in pursuit of sales excellence. The purpose of the book is to tell real-life stories, each underpinned with a powerful lesson that helped Conor sell the next time around. In the early 1990s, Conor worked for a family business in London, whose head, Arnold, was wise, successful and wealthy. Conor had made a costly mistake in his youthful eagerness to sell. The next day, he was summoned to Arnold’s office. He was nervous and feared the worst. In a soft voice, Arnold said, “Conor, good decisions come from wisdom. Wisdom comes from experience. Experience comes from bad decisions”. That is how we learn, how we really learn. Sometimes, to believe the fire is hot, you need to get burnt. When you do, there is no book better than raw experience. SALES TALES is based on Conor’s occasional mis-step into the fire. It is a book of real stories – sales stories that will help you to be a better sales person and to make more sales. It will guide you in sales, in your career and in life. 4 I’m in Sales – Or Is It Marketing? 5 Is This Really Me? 11 Why Should I Buy from You? This book is an easy read packed with anecdotes about the lessons Conor Kenny has learned and the various characters he has met in his 30-year career in sales and training. It’s an engaging and light-hearted read that salespeople will relate to. Great sales and great selling are simple. It’s often the human condition that throws the spanner into the works is Kenny’s message. To succeed in selling, you must have a potent mix of character (who you are) and skill (what you can do). Attitude to the customer is important. Some salespeople consider the customer as the opposition, but others see them as their reason to exist. Emotions play a huge part in the selling process. People will rarely buy from those they don’t like or do so only if there is no alternative. Where possible, they will buy from people that they consider friends. Motivation is the hidden layer that lies behind our own personal emotion or conflict. Emotions are hard to ignore and applying logic to illogical emotions is doomed to fail. Great sales people find out what the customer’s emotions are, they don’t assume. Fear is a huge problem for salespeople and Kenny says that is often a consequence of phobia. If you are trying to sell against a hidden phobia, you have no chance. 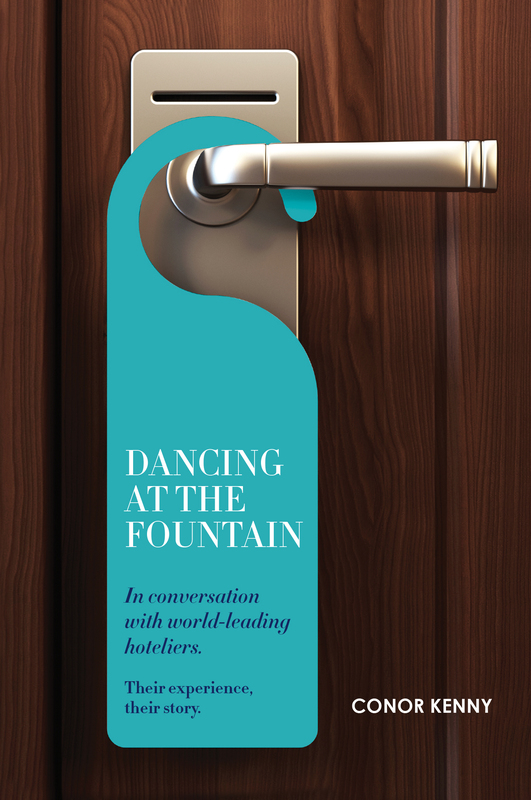 If there is one book that all hoteliers should read, then this is it! Unlike many of the other dry, theoretical books on selling, this book cuts to the quick and demonstrates how to sell through Conor’s 28 years of sales experience. Lots of interesting stories with new insights even for experienced sales people. Like all Oak Tree Press books, this is well laid out, taking a no-nonsense approach to the subject with a minimum of jargon. It includes real-life tales of sales. Ace sales trainer Conor Kenny learnt his key principle when he worked for a kindly Jewish family business in the early 1990s. After he made a costly mistake, his boss told him: “Conor, good decisions come from wisdom; wisdom comes from experience; experience comes from bad decisions.” Kenny’s book on how to sell, Sales Tales, is full of these funny-but-true experiences: how he used Turkish Delight to make and seal a contract, how it takes 3,416 bolts to hold a sports car together but just one nut to dismantle it, and why you should listen more than talk, especially in a sauna.